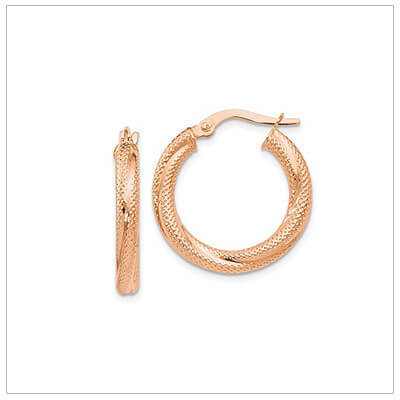 10kt rose gold hoop earrings with a polished and textured finish. Hinged click closure. 10kt rose gold earrings with a high polished finish. 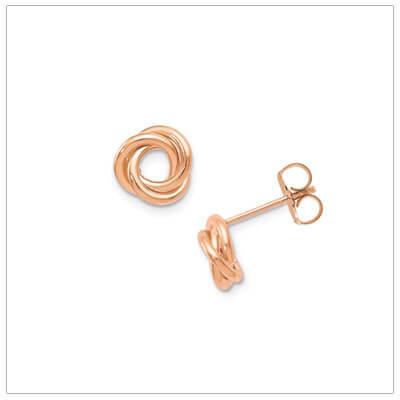 Rose gold knot earrings have push on backs. 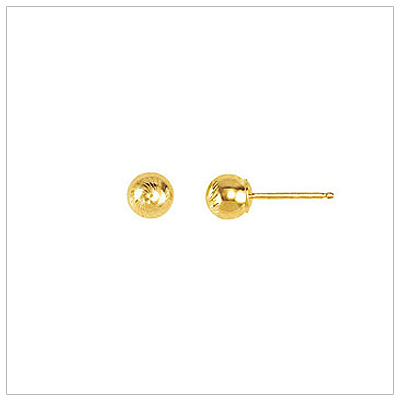 Diamond-cut 14kt gold ball earrings catch the light and sparkle! 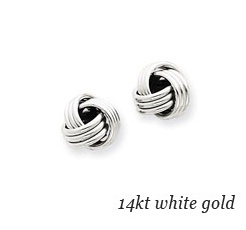 5mm, 14kt white or yellow gold. 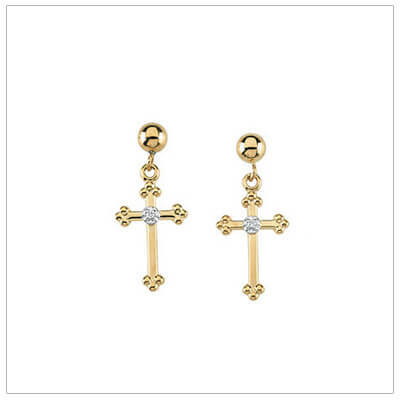 Dangle Cross earrings in 14kt yellow gold set with genuine diamonds. Push-on backs. 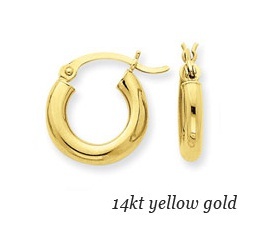 14kt gold endless hoop earrings, 15mm in diameter. 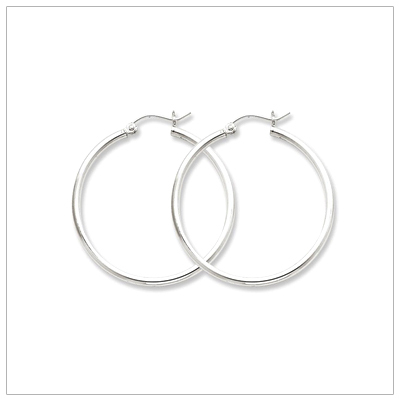 Classic hoop earrings and a teen favorite. 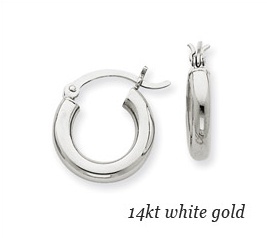 14kt gold endless hoop earrings for teen or adult. 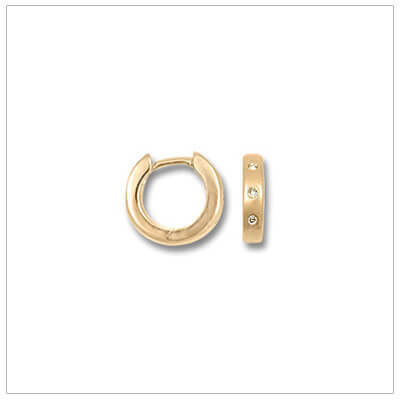 Our gold hoop earrings are 24mm diameter. 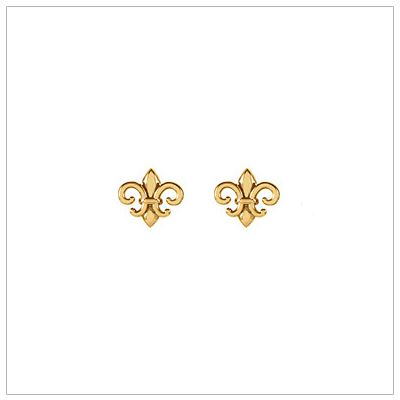 Beautifully shaped fleur de lis earrings in 14kt gold. Not too large; good for teens and tweens. 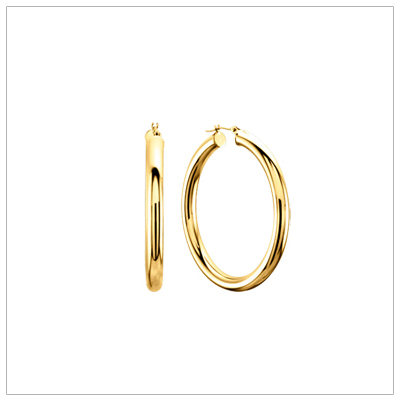 14kt gold hoop earrings, 4mm tube hoops. 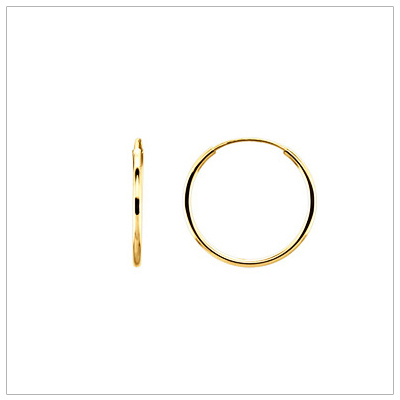 Beautiful quality gold hoop earrings for teen or adult. 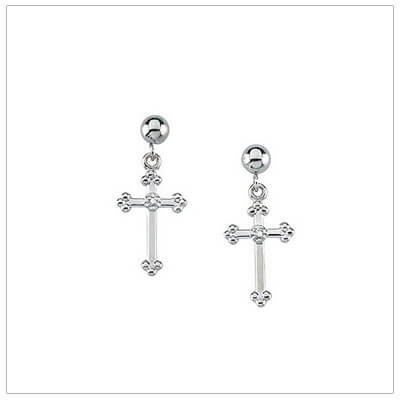 Dangle Cross earrings in 14kt white gold set with genuine diamonds. White gold push-on backs. 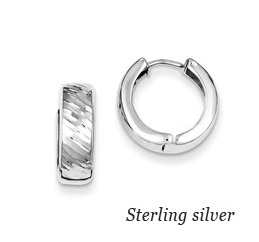 Classic sterling silver hoop earrings, 35mm in diameter. 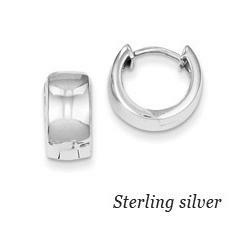 Rhodium plated to prevent tarnish! 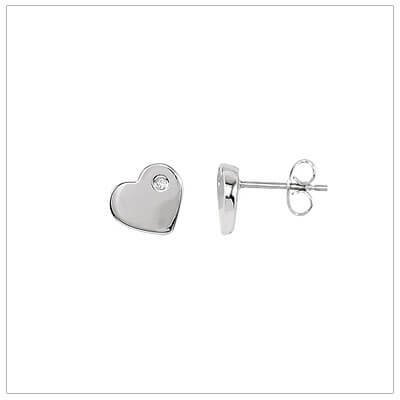 Sterling silver heart stud earrings for girls set with diamonds. Heart earrings have push on backs. 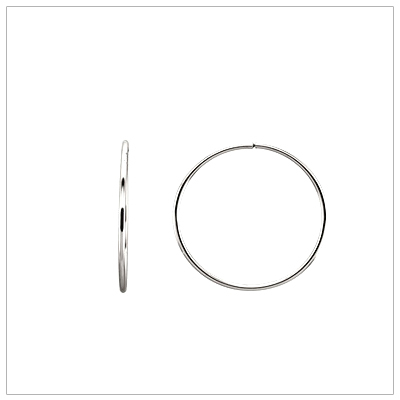 Endless sterling silver hoop earrings, 40mm in diameter (aprox 1.5 inches). A teen favorite! 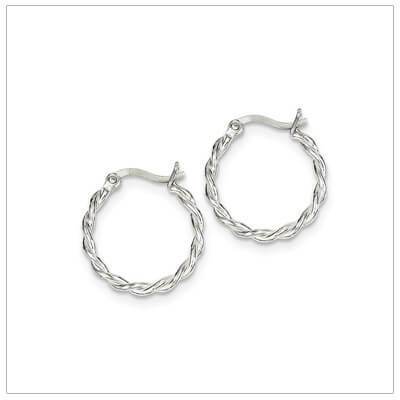 Sterling silver twisted hoop earrings for girls with a click closure. Perfect for older children and teens. 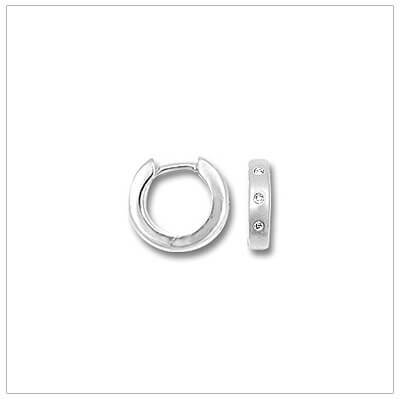 Polished silver hoop earrings 7mm wide. 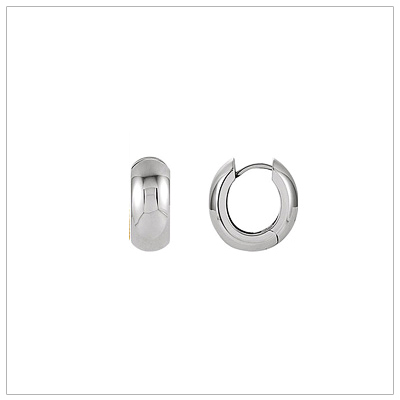 Hinged at bottom to open, they are 16.7 mm diameter. 14kt yellow gold huggie earrings set with genuine diamonds. Perfect for babies and children. 14kt white gold huggie earrings set with genuine diamonds. Huggie earrings for baby or child. 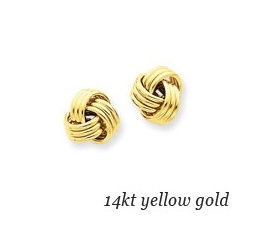 Beautifully shaped small Cross earrings in 14kt yellow gold. 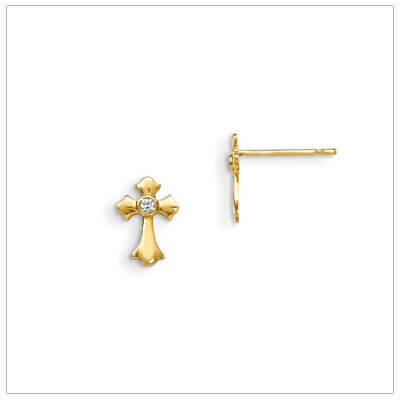 Gold Cross earrings set with cubic zirconias. 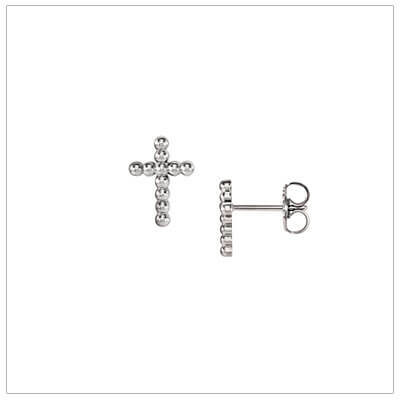 14kt white gold Cross earrings for girls with a beaded design; Cross earrings have push on backs. 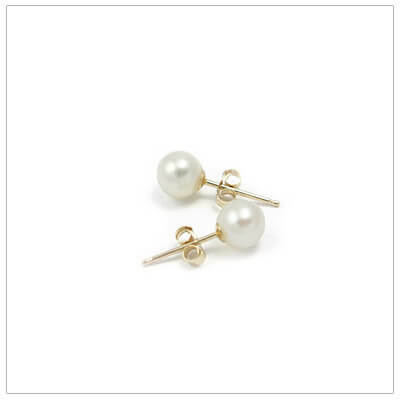 Beautiful white cultured pearl stud earrings set on 14kt gold. 6 -7mm pearls, push on backs. 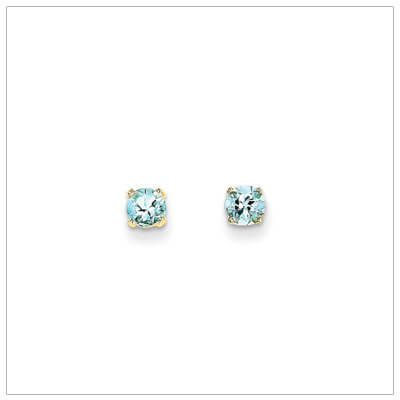 Genuine 4mm birthstones set in 14kt yellow gold. Push-on backs. January Garnet. Genuine 4mm birthstones set in 14kt yellow gold. Push-on backs. February Amethyst. 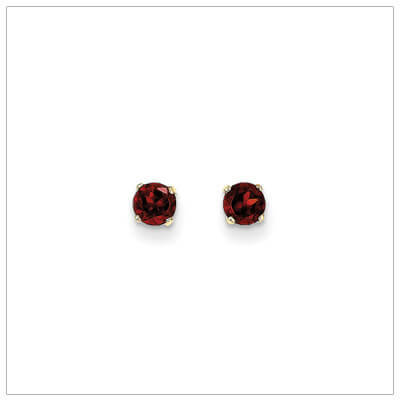 Genuine 4mm birthstones set in 14kt yellow gold. Push-on backs. March Aquamarine.